I was taking a short-cut from the rice field back to the swamp and almost walked by him, perched on a branch just off the path. 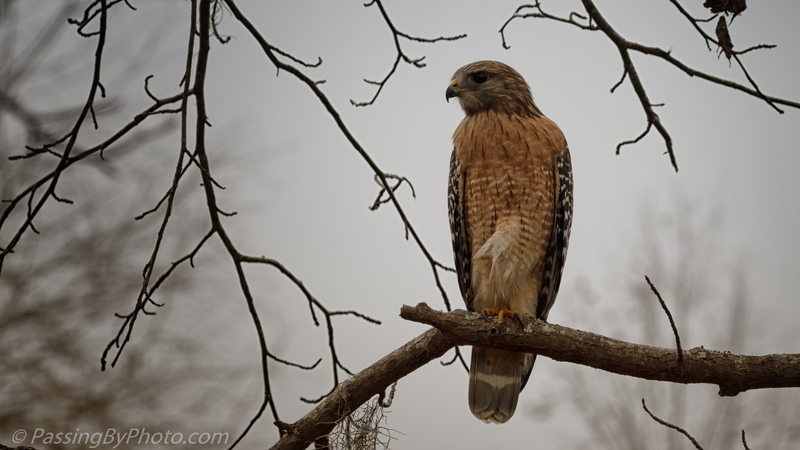 Throughout December I have been hearing the Red-shouldered Hawks calling around the swamp but this is the first one of seen in awhile. Rather sweet-looking for a hawk! Nice! Thanks, Liz! Sweet, unless you are the prey! Great shot, I love the mood surrounding him as well!